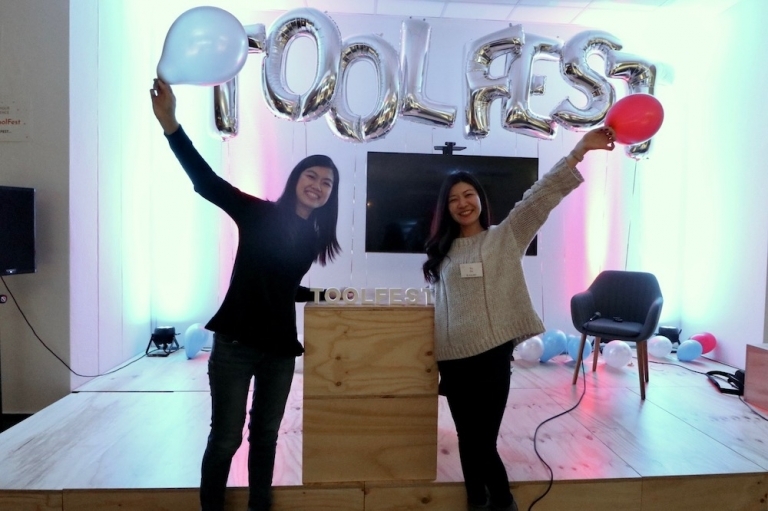 The ToolFest is an alternative to traditional conferences. Attendees can actively learn and exchange their tools. 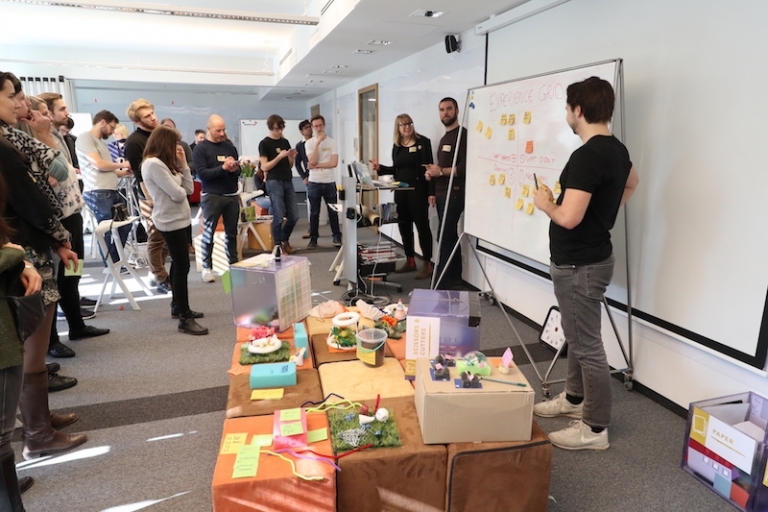 The Design Thinking ToolFest was the first one of its kind and took place on March 3rd 2018 at the HPI School of Design Thinking in Potsdam. On an intensive day, participants experimented with tools in four different tracks: Synthesize, Ideate, Prototype and Apply. 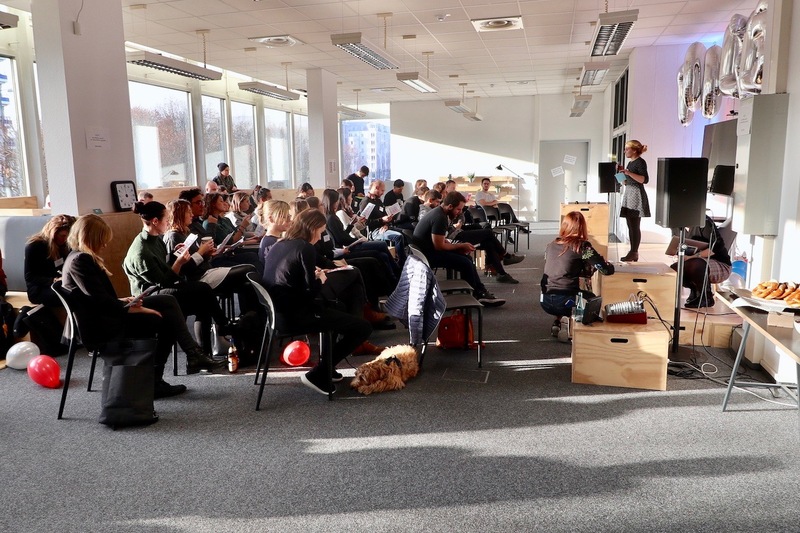 The second ToolFest took place on the 1–2 December 2018 at the Helios.hub in Berlin. On a two day event a divers group of 80 professionals gathered and could pick their favorite sessions out of 20 workshops, 4 talks and 3 keynotes. The third ToolFest will take place on September 6th & 7th 2019 in Berlin. The ticket sale will start in March. If you are interested in collaborating with us as a speaker, partner or sponsor, please contact us. The ToolFest is Berlins Pop-up Innovation School – A two day workshop festival to exchange the newest innovation tools. Are you curious to expand your knowledge and learn new innovative tools? Find inspiration at the ToolFest and attend your favorite workshops and talks. The ToolFest enables you to expand your creative ToolBox while strengthening your network in Berlin, Germany and beyond. Get an official recognition of your individual ToolFest journey and share your experience with colleagues and employers to show your expertise.